Srinagar, Nov 22:(Agencies) In an endeavour to promote and channelize the talent of budding youth, SSP Kupwara Shri Shriram Ambarkar-IPS inaugurated Kick Boxing Center at District Police Lines Kupwara, today. This will be first of its kind in district Kupwara. During the inaugural ceremony, a large number of students from various schools and respectable citizens of the district were present. 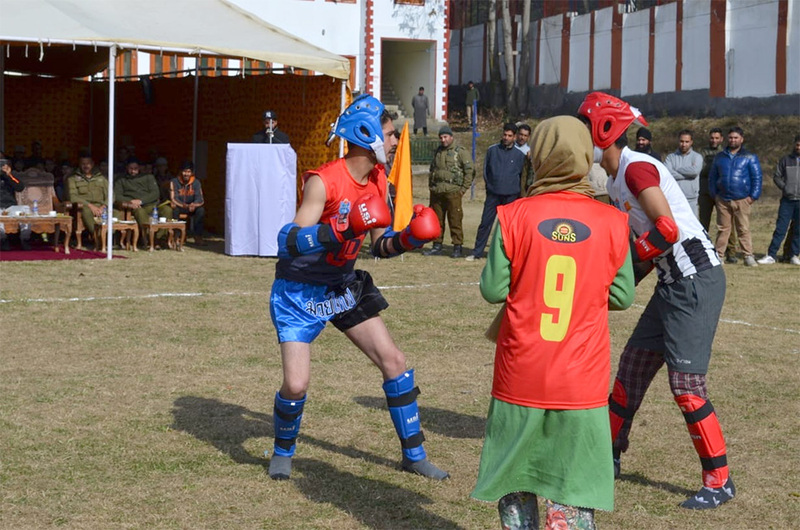 On this occasion demos of different forms of kickboxing were displayed by trained youth and kids of Kupwara, which was organized by kick-boxing academy Kupwara. While speaking on the occasion, SSP Kupwara stressed upon the local youth to take the best training from the centre so as to enable themselves to compete at District, National as well as International level. Among others who were present on the occasion includes ASP Kupwara Shri Shafqat Hussain, DySP Hqrs Kupwara, DySP DAR Kupwara and other Senior Police and Civil Officers.